This 14K gold Claddagh wedding ring features both emeralds and diamonds. 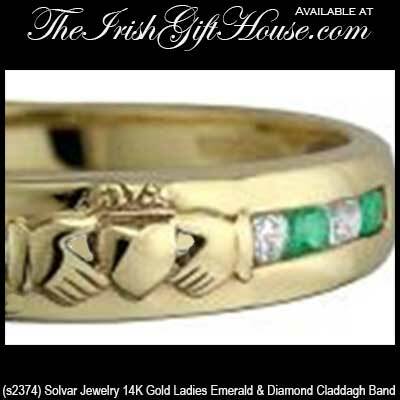 The 1/4" wide Claddagh wedding band features eight channel set stones, four emeralds (0.14ct) and four diamonds (0.11ct); two of each stone are present on each side of the Irish symbol. 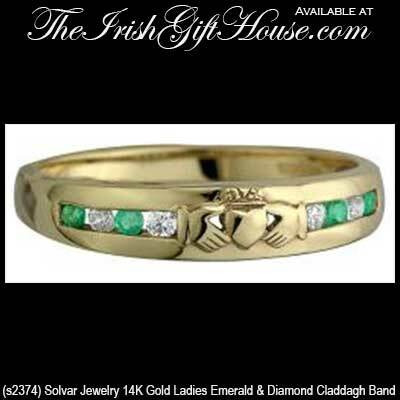 This Claddagh wedding ring is available in sizes 4 through 9 1/2, including half sizes.